Small batch clothing manufacturers are providing fashion designers across the United States with the perfect solution for launching their brands and building their identity. In this article we will explain five key tips every independent fashion designer needs to know when choosing a small batch clothing manufacturer. What is Small Batch Production? Small batch production is typically orders of 30-500 units (garments). In the past, American factories would almost exclusively work with established brands or large scale orders. 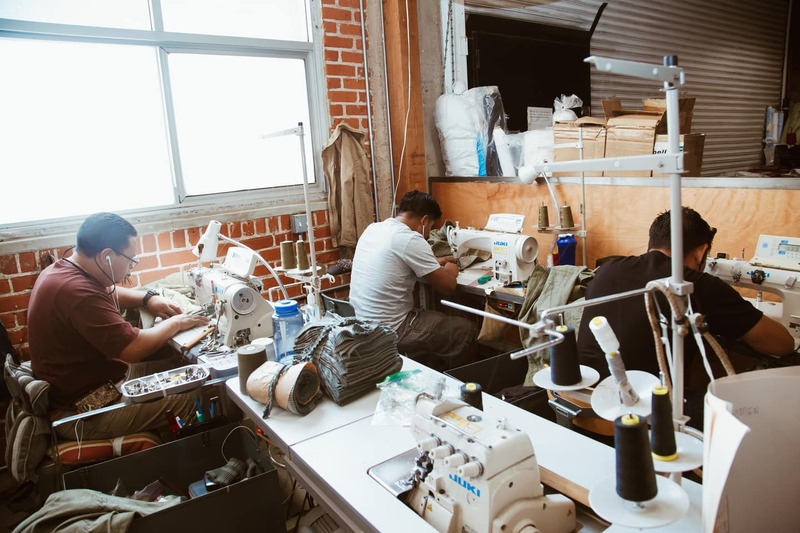 The growth of the ‘Maker Movement1’ has given rise to companies like TEG that offer the production services independent fashion designers are looking for within the United States. Technological advances have helped small batch clothing manufacturers grow a very popular niche in the industry. Online shopping has made expensive store overheads unnecessary, and social media has made marketing accessible to all. Small batch clothing manufacturing makes production affordable. Who Needs Small Batch Production? Whether you are launching a new line or a new brand, small batch production gives you a way to control the costs and batch numbers. This gives you the peace of mind required when beginning a new venture that you don’t need to risk everything and be stuck with a load of unsold merchandise. Small batch production has opened doors for independent fashion designers looking to launch their styles and brand into the marketplace, without the need for extensive upfront financing. The rise of small batch clothing manufacturing provides the ability for many brands and creatives to get into the market without large capital investment making for easy to test clothing concepts and lines. Small batch manufacturing helps you avoid the risk of wasting time, money, and resources that can come with committing to a large scale inventory. With small batch manufacturing, if you discover improvements that need to be made or minor errors that need fixing, you can do this seamlessly in the subsequent batch. You can avoid the horror stories of large quantity production being completed with a faulty product. With small batch manufacturing, you can gauge the sales and orders of your garments and predict your growth more accurately. By the time you have perfected your design, the initial sales will demonstrate the need is being met in the market and can accurately predict the pace of growth. With small batch manufacturing, minimum viable product testing is not only a concept from software but one that has become heavily adopted in successful fashion startups. Small batch production has the added benefit of giving you more much more agility and control of your production cycle. With smaller production numbers, you will have the ability to make changes to your garments quickly, helping you gauge the consumer response and reacting to the market demand within your niche. This can give you a competitive edge as your merchandise adapts and delivers in a short time-frame. Agile production can also allow you to spur sales through ‘limited-edition’ merchandise, giving a sense of exclusivity to your products. Consumers enjoy the feeling of exclusivity and personalization, knowing that what they’re wearing will not be found in mass production, helping you drive your sales. You will also have the freedom to make changes more frequently without being tied to the traditional seasonal changes. This can give you more creativity with your designs and production. Since the costs incurred with producing smaller batches are much less than with large scale production, you have more flexibility and control over your releases. Sustainability is becoming more prevalent as conscious consumers and production behavior continues to grow. Smaller batches reduce the risk of substantial waste and take up less resources in production. Small batch production can offer shorter lead times, allowing you to get your production off the ground and testing the market needs sooner. Time is money as they say, and so is customer insight. The faster you can generate real feedback and integrate improvements into your product, the better your final product will be. Small batch clothing manufacturers provide independent fashion designers with less risk, affordable production costs, and more control of their styles. Whether selling online or selling to a retailer, these pro tips will help you understand and prepare for small batch production. 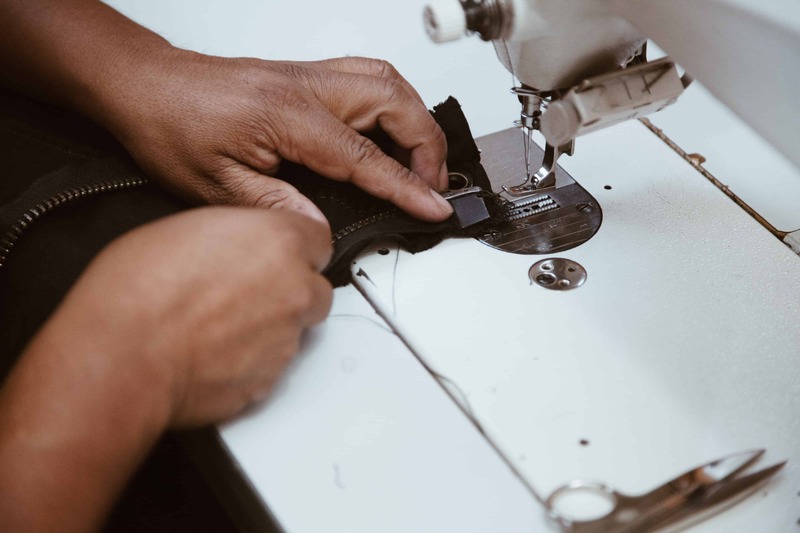 Working with your small batch clothing manufacturer should be exciting not confusing, knowing these industry terms will help clarify the whole experience. The MOQ is the minimum of any style that a clothing manufacturer will make. Small batch clothing manufacturers usually begin at 50-100 units per style, there are some factories which will offer zero minimums. Colorways and Options. A style is a single item, this can be a jacket, skirt, a pair of pants etc. A colorway or option is the color, wash or finish of any style. If you have designed a pair of pants and want one in blue, white and black, this would be one style with three colorways/options. This is the entire assembly of the garment, it is essentially another way of saying cut and sew manufacturing. If you are feeling a bit stuck choosing a good cut and sew manufacturer, our guide explains what to look for in six simple steps. A block is a silhouette which goes through minor changes season to season. For example a T-shirt you have which changes trim or a skirt which adds a pocket. Blocks can allow you to create a collection ‘staple’, decreasing your development costs. This is a great way of establishing a fit for your brand and adding more collection, while saving money. This covers any form of gathering your resources, including fabric, printing, trims, embroidery and anything else you have to procure. The first thing that the clothing manufacturer will need are your spec sheets. These highlight your full design, the measurements, fabrics, printing techniques and supporting images of your garments. It is important to include as much detail as possible about your design within these. Some manufacturers may also ask for a tech pack. A tech pack is all encompassing it may include: full detailed measurements, lining details, zipper or button customizations, swing tags, packaging and more. Based on your spec sheet details, manufacturers should be able to provide you with quotes for productions. Ensure that you have a realistic budget in place here, and once you are fully happy with the production costs (including sampling) you are ready to begin the clothing manufacturing process. Source all your materials and fabrics. There is a vast amount of fabric to choose from and it can seem a bit daunting when choosing a supplier, you don’t need to know everything in advance. As long as you have an idea of the materials and fabrics you want to work with and a direction you are going for with your designs, the supplier will be able to work with you and guide you through the choices such as linen, cotton, viscose, rayon and more. If you require customized items such as zippers or buttons, or specialized buckles be sure to give yourself plenty of time to source these. Clothing manufacturers may be able to help point you in the right direction here, make sure to ask as they may know the right people or connections. 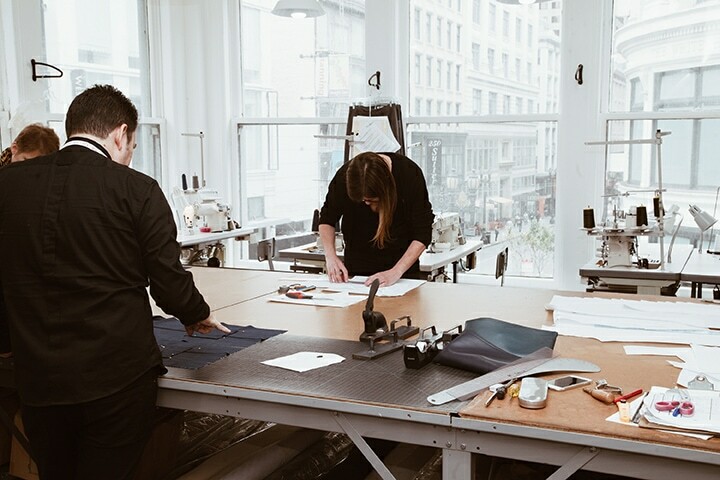 Small batch production has brought a surge of life back to American factories, and independent fashion designers have pushed this trend. The desire to support American made goods is nothing new, and factories such as TEG are making this as easy as possible. Small batch production isn’t just benefiting the designers, factories are enjoying the resurgence, diversifying their workloads and not having to rely on large production runs. This has developed stronger relationships between factories and fashion designers, creating a more personalized production experience. Small batch manufacturing has provided a rebirth and a newfound strength to the artists and creatives, our hope is to continue supporting those willing to risk it all to create their brand and legacy. At TEG, we are committed to supporting independent designers and preserving that heart of craftsmanship and ingenuity. Our Factory Level Production specializes in cuts of 50-100, 100-300 and 300-1000 pieces per style. We will also provide TEG Project Managers and Production Managers to work directly with independent fashion designers. To find out more about small batch production with TEG click here, or get in touch and contact us today.